The new film 99 Homes looks to be Hollywood's first major attempt to take on the American housing crisis, and they're using a British actor to do it. But don't worry, because that British actor happens to be Andrew Garfield, and if he's American enough to play Spider-Man, then he can handle real U.S. problems on-screen just as well. In the film, Garfield portrays down-on-his-luck single father Dennis Nash, who is evicted from his home by a crooked real estate agent named Rick Carver (Man of Steel's Michael Shannon). Desperate for a place to raise his family, Nash is forced to work for Carver doing the same kind of disturbing evictions that were done to him. The film looks very intense and real (the trailer floats the ever-mysterious "inspired by true events" claim) and is a far cry from much of Garfield's previous work. 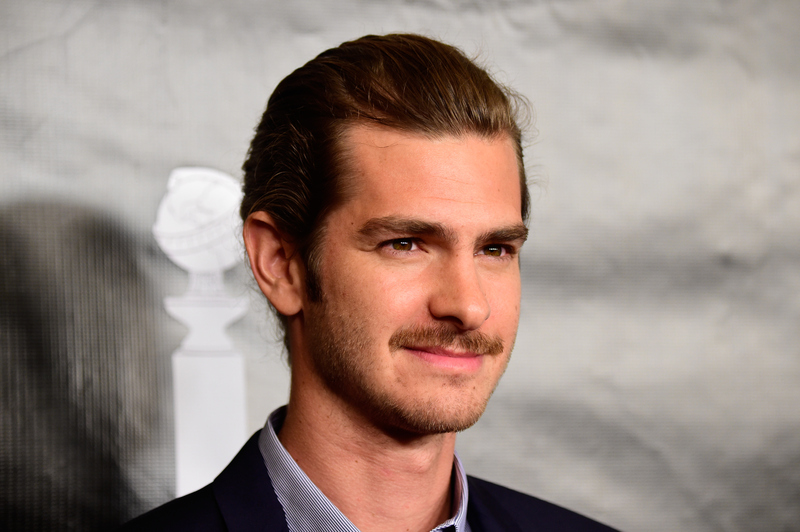 With this new, very adult performance, fans are wondering if the next Andrew Garfield movies after 99 Homes will showcase this darker side of the actor again. If you're a fan of grown-up Garfield, then you're in luck. The 32-year-old has two films slated for release next year, and they both continue the trend of adult situations and reality-based storytelling that were kicked off with 99 Homes. First up is Silence, a Martin Scorsese film surprisingly not starring Leonardo DiCaprio. The film is based upon the novel of the same name by Japanese author Shūsaku Endō and tells the tale of two Jesuit missionaries who travel to Japan in the 17th century and face persecution. Garfield stars as Father Sebastião Rodrigues, one of the priests who travels to the country. Co-starring in the film are Adam Driver as Garfield's fellow priest and traveling companion, Ken Wantanabe as their Japanese translator, and Liam Neeson as their mentor and the reason they head to Japan (they hear a rumor that he has abandoned his faith). Garfield's character was inspired by real life priest Giuseppe Chiara, who traveled from Italy to Japan in the 17th Century, and it should be a powerhouse performance from the actor. After Silence, Garfield has another lead role in his future with Mel Gibson's war biopic, Hacksaw Ridge . The film tells the real life story of U.S. army soldier Desmond T. Doss, whom Garfield is portraying. Doss was the first ever conscientious objector to be awarded the Medal of Honor. What does that mean, exactly? Doss was drafted into the army to fight in World War II, but his religious beliefs precluded him from carrying a weapon or killing anyone. Because of this, he became a medic, and went on to put himself in danger countless times while rescuing his fellow soldiers on the battlefield. In addition to Garfield's lead role, the film also stars Vince Vaughn and Sam Worthington in what's sure to be a modern war hero classic. With Spider-Man now firmly in his past, Garfield is proving that he is a serious actor and is therefore deserving of serious roles. 99 Homes looks like a great start, and if next year's slate of films is any indication, fans should get used to hearing Garfield's name bandied about come awards seasons for years to come.